Spine-Chilling Horror | Horror, Pop Culture, and Beyond! Horror, Pop Culture, and Beyond! New site and info coming soon! 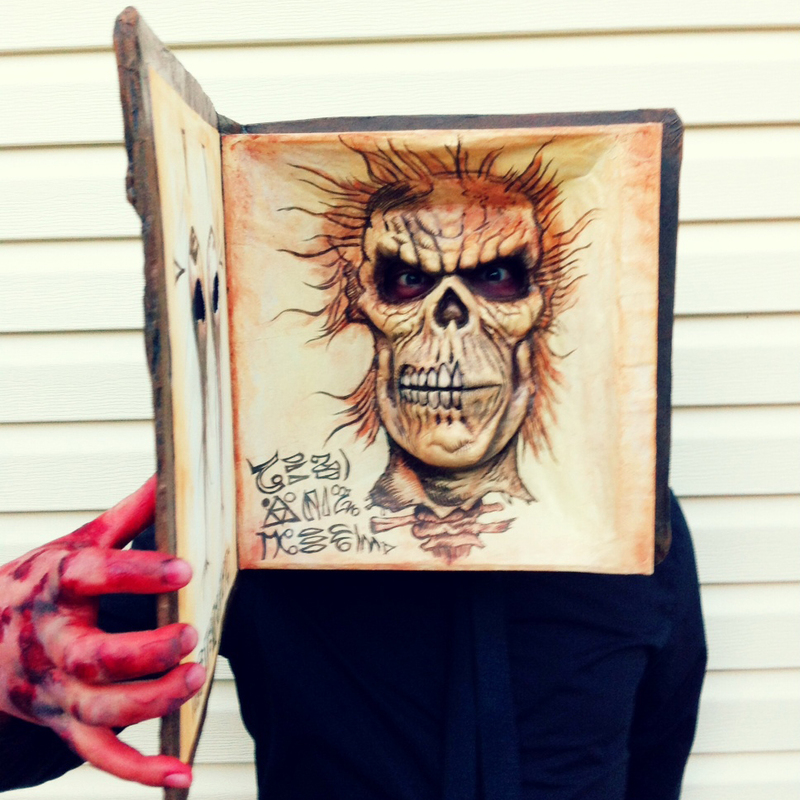 Halloween 2012- Evil Dead 2: Dead by Dawn! As it recently celebrated it’s 25th anniversary, its seems fitting that our costume choice for Halloween this year was Evil Dead 2: Dead by Dawn. Our costumes were actually decided upon a year ago, but busy schedules and good old procrastination left us working on them until the last minute. But I think we successfully pulled it off. I was the Necronomicon (Book of the Dead) and my friends Kiersten and Wes were the cabin in the woods and Ash. 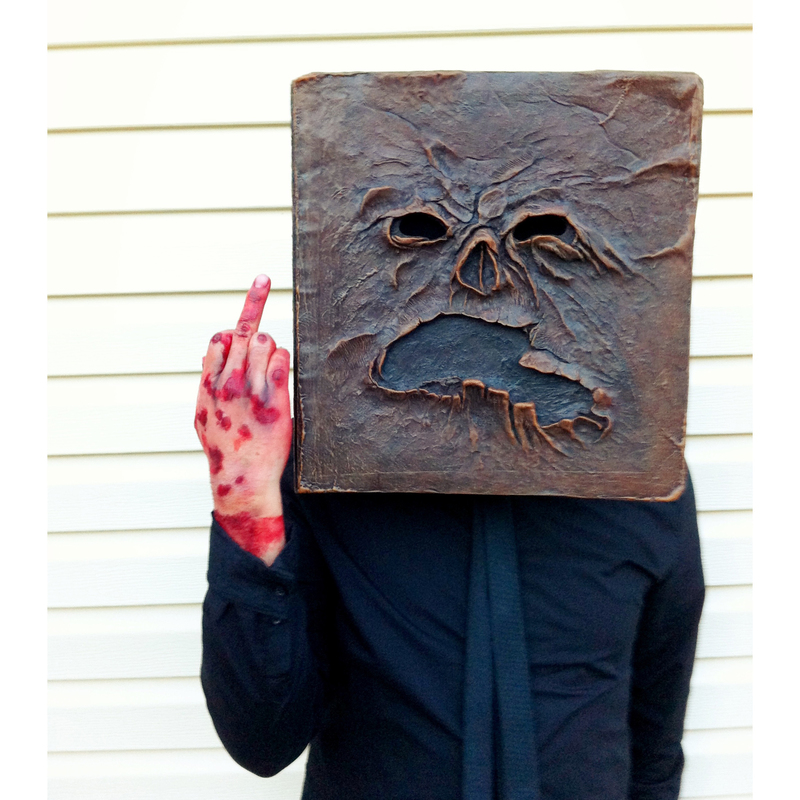 I created the Necronomicon with a basic skull mask, foam core, paper mache, paperclay, a hot glue gun, super glue, and acrylic paint. 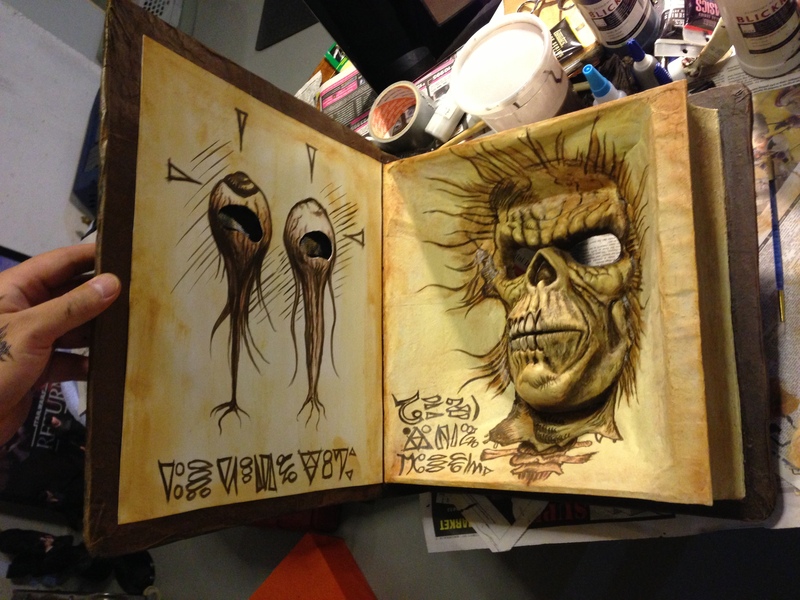 Not content with just wearing a box on my head, I decided to add more detail by making the book actually open; complete with pages of the book inside. To see how Kiersten’s cabin hat was created check out her blog! 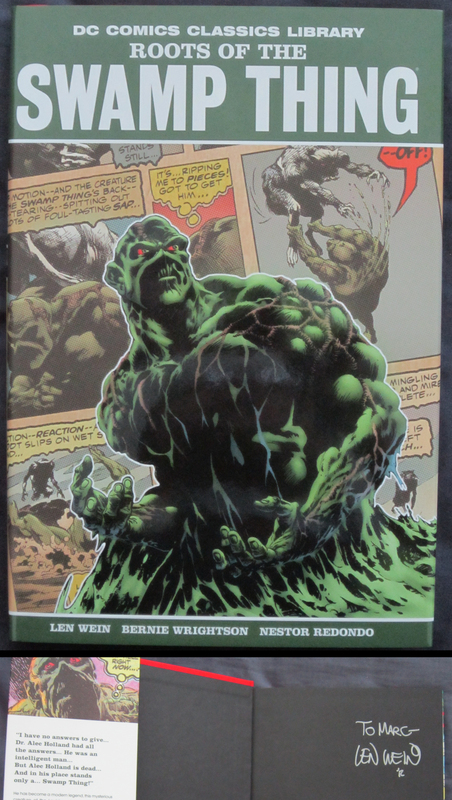 Since it’s Earth Day I thought I would spotlight the ultimate environmental crusader, Swamp Thing. 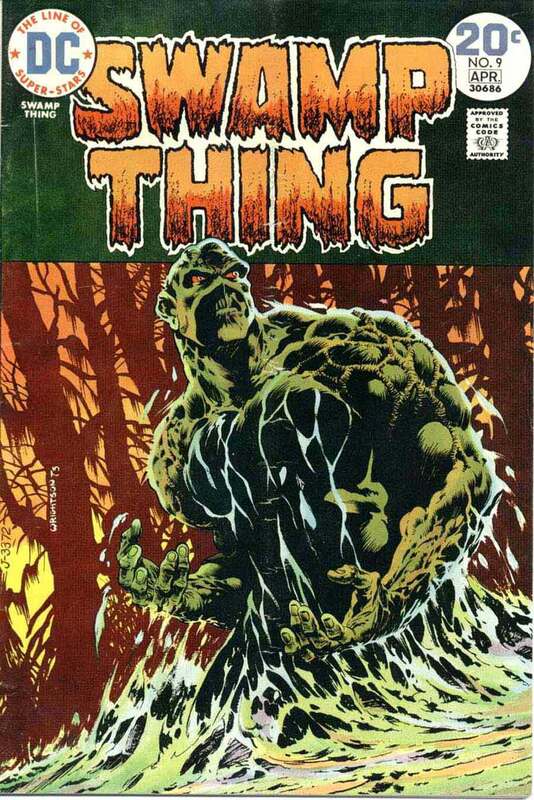 Swamp Thing has been one of my favorite characters since I was a little kid. 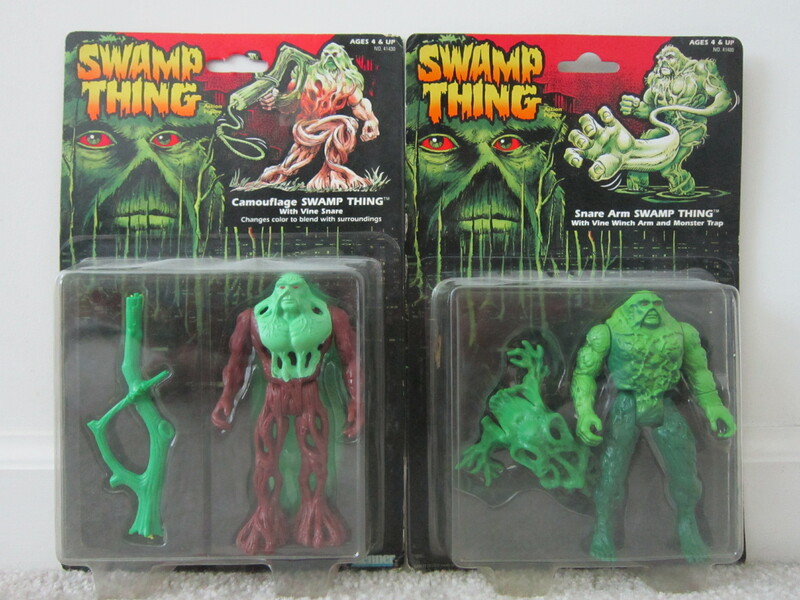 “Swamp Thing” the movie, (directed by Wes Craven and starring the Adrienne “Barbeu-bot” Barbeu), like Star Wars, Goonies, & Ghostbuters, was one of the many movies I grew up on. 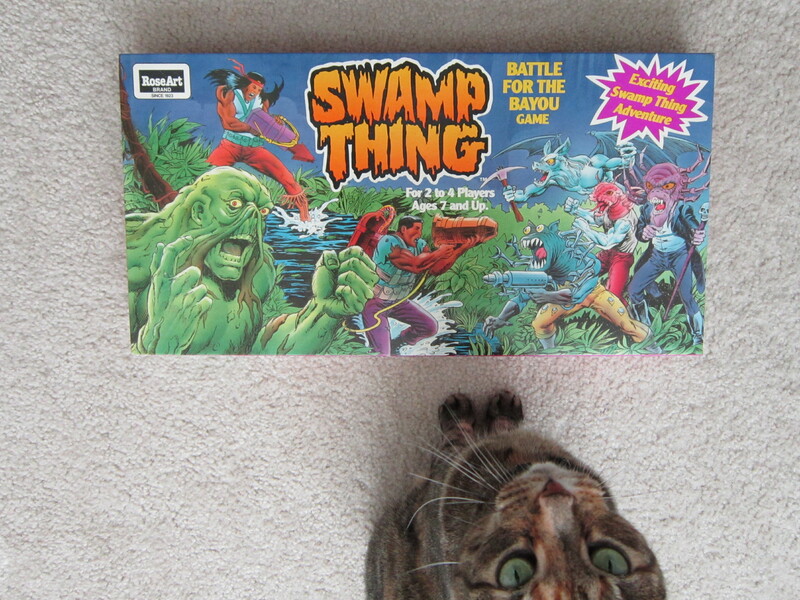 The sequel, “The Return of Swamp Thing” starring Heather Locklear, later became a childhood favorite as well. 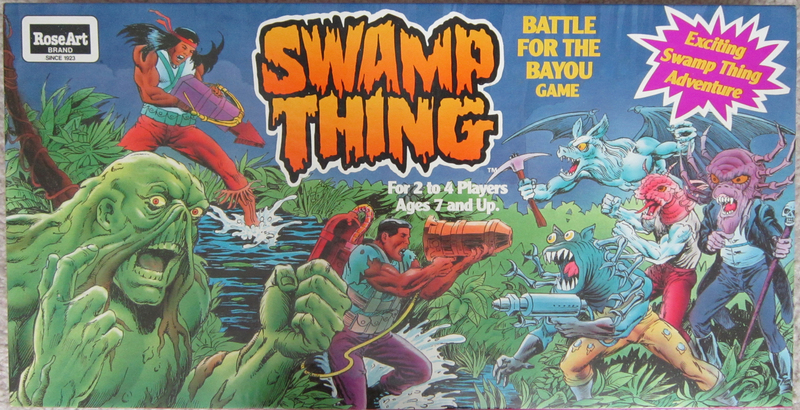 As I grew older I learned that Swamp Thing originated in DC Comics, and was a friend of Batman, which made me love him even more! 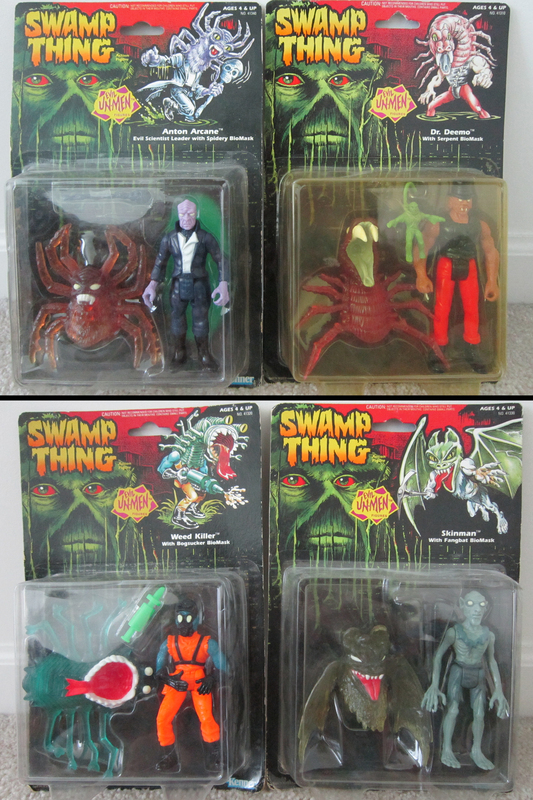 My love of Swamp Thing compelled me to collect all things Swamp Thing, and I’ve amassed a good amount so far. In 1991 there was a short lived animated series. There were only five episodes but plenty of licensed merchandise to go with it. 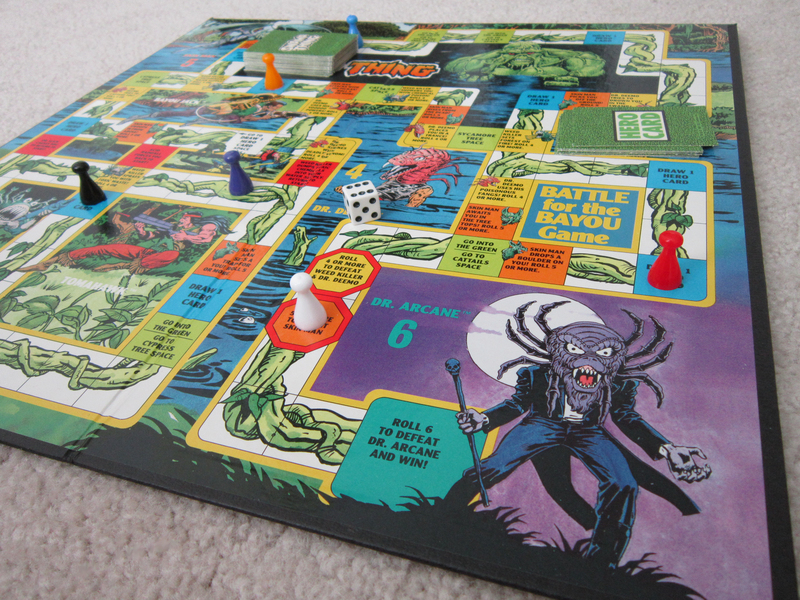 They don’t make board games like this anymore. It seems a little over-complicated for a kids game. I had to read the instructions a few times, and I’m still not sure I understand how to play. But it was the bright, colorful artwork that really caught my eye. 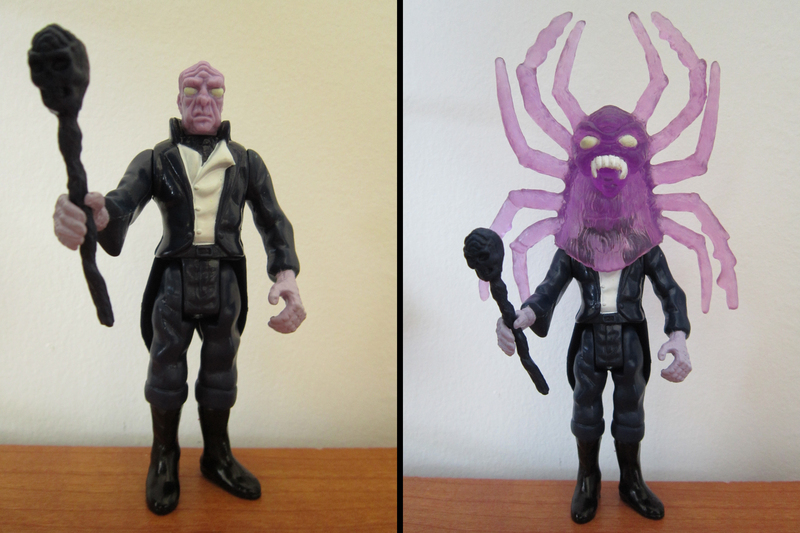 In the 80s and 90s Kenner was the king of action figures, producing some the most iconic toy lines like Star Wars, Super Powers, Ghostbusters, and numerous Batman lines. 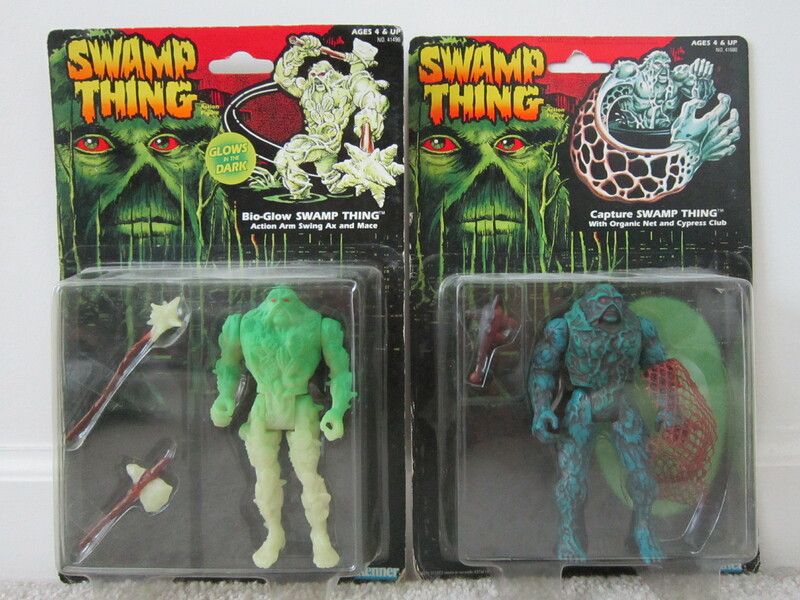 Swamp Thing got the typical action figure treatment; multiple variations of the main character with specialized accessories and/or appearance to handle any situation imaginable. 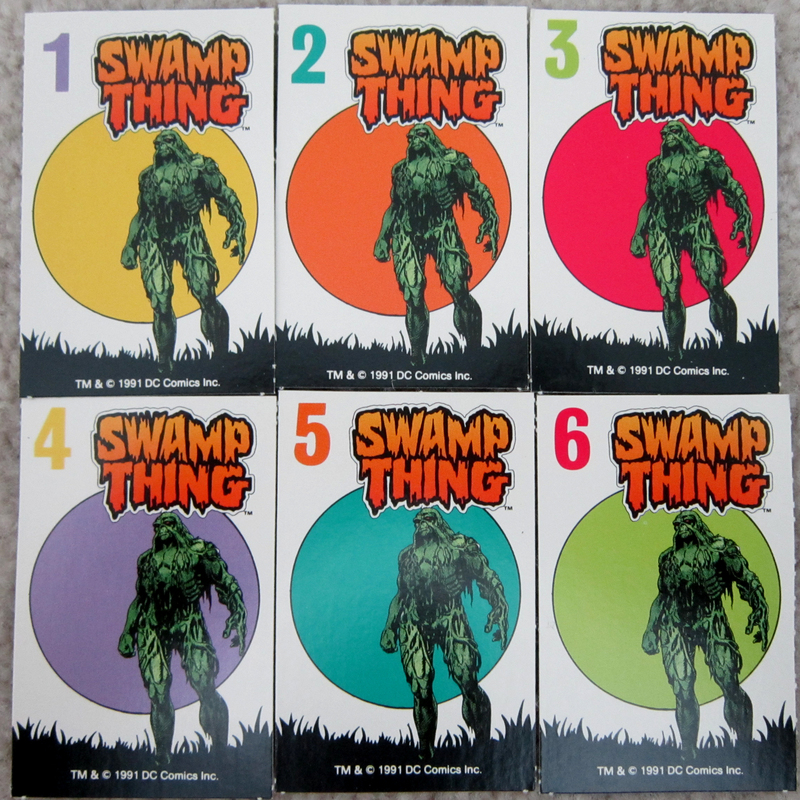 “Bio-Glow Swamp Thing” is my favorite. 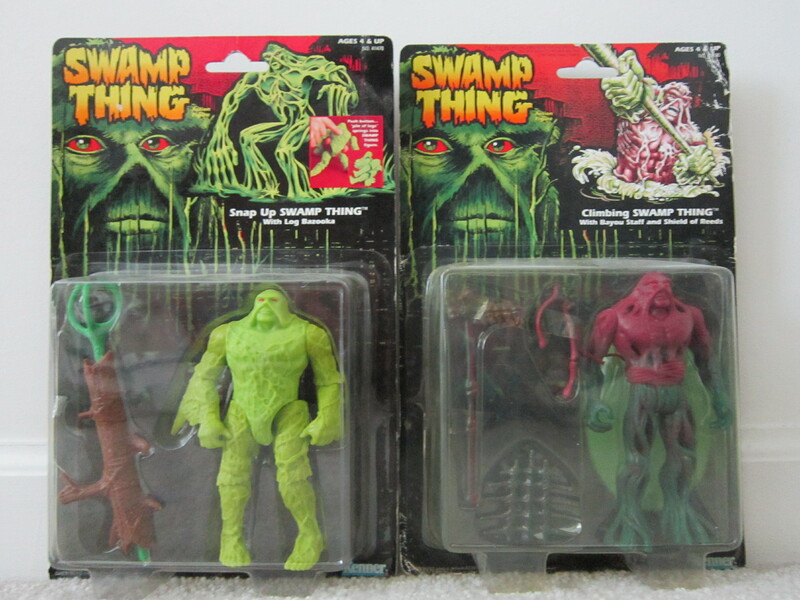 Swamp Thing's human buddies. 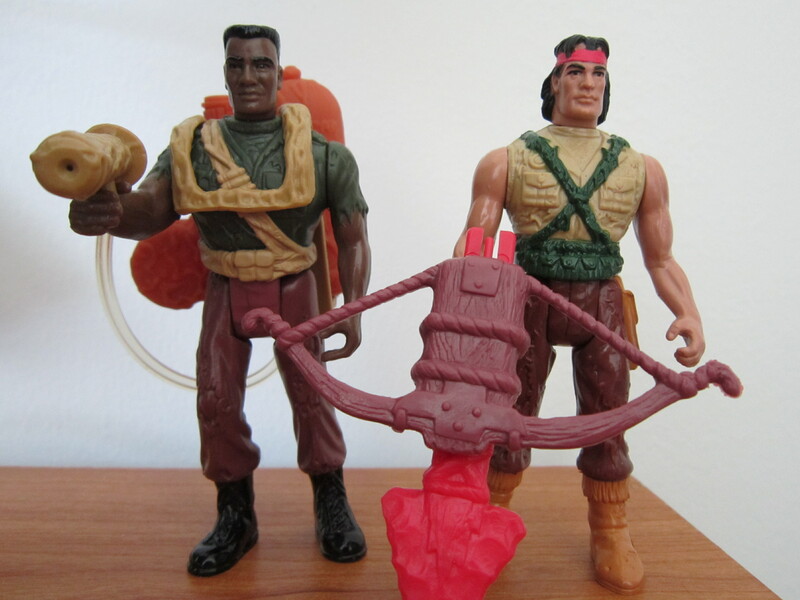 The Native American fellow on the right is named Tomahawk. I don't think you can get away with that today. To me the bane of the toy collecting world is the convention exclusive. The last thing I want to do at Comic-Con is wait in a line for an overpriced toy that I may or may not be able to purchase once I get to the front of the line. Luckily in recent years Mattel has made exclusives available for pre-order before the convention, which eliminates the waiting in line for the toy and ensures that you’ll get one. Unfortunately the high price tag still applies. 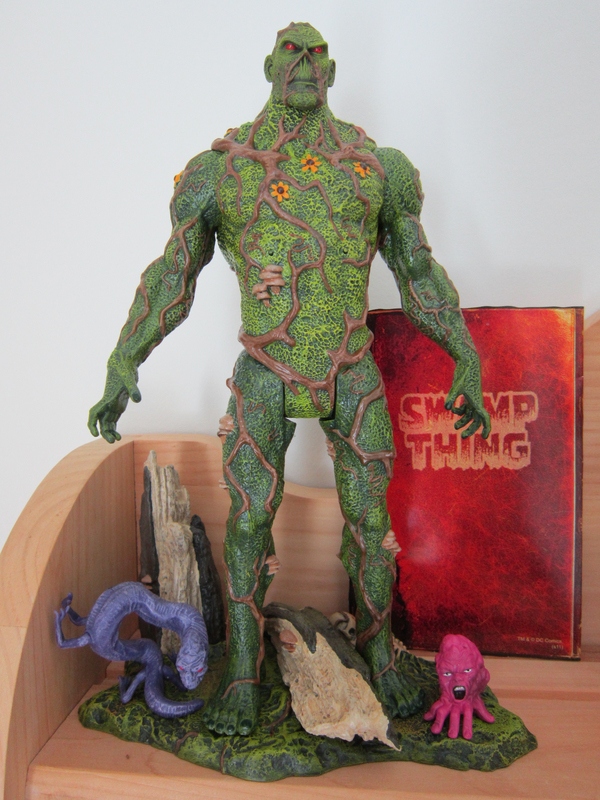 But I was happy to pay the high price for last year’s exclusive, Swamp Thing! This year at C2E2 I had the honor of meeting one of the creators of Swamp Thing, Len Wein. He was kind enough to sign my “Roots of Swamp Thing” collection which includes Swamp Thing’s first appearance and adventures. I hope to meet artist Bernie Wrightson some day. Since it’s the Holiday Season I thought I’d compile a short list of some of my all-time favorite Christmas movies. This list doesn’t include all of my favorites; just a few of the flicks that I make sure to watch at least once every holiday season. I love 70s and 80s horror movies, especially the bad ones. So how could I resist a Christmas themed slasher flick? 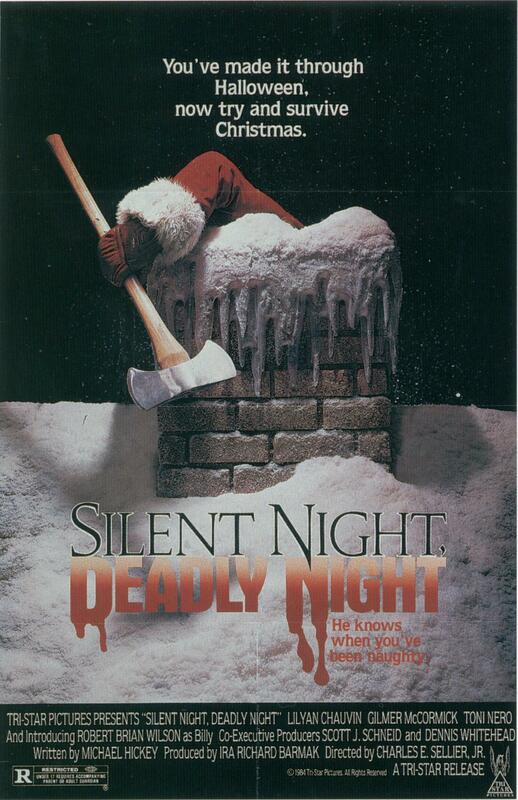 This movie is one of those gems that leaves you wondering “how did this get made?” About a boy raised in an orphanage who goes on a killing spree dressed as Santa Claus, “Silent Night, Deadly Night” has the perfect balance of blood, gore, and bare breasts, not to mention plenty of Christmas cheer. 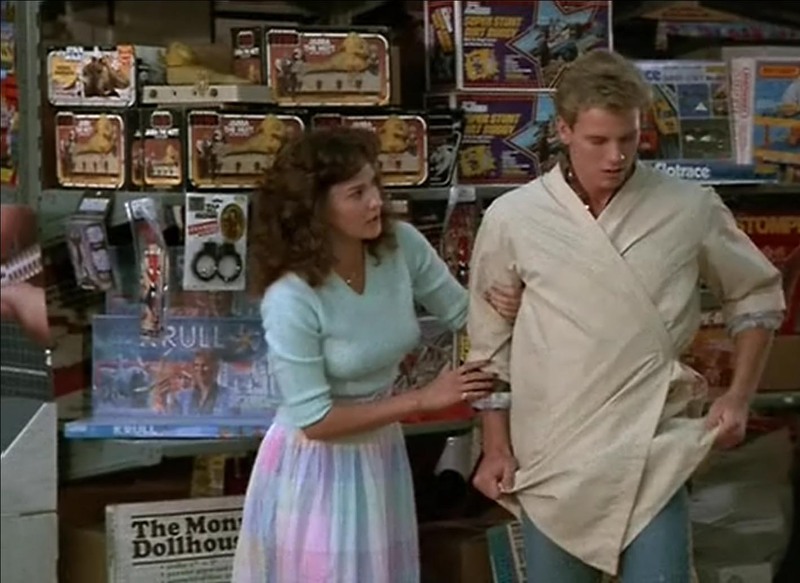 One of my favorite parts is the toy store that Billy, the killer Santa, works in. 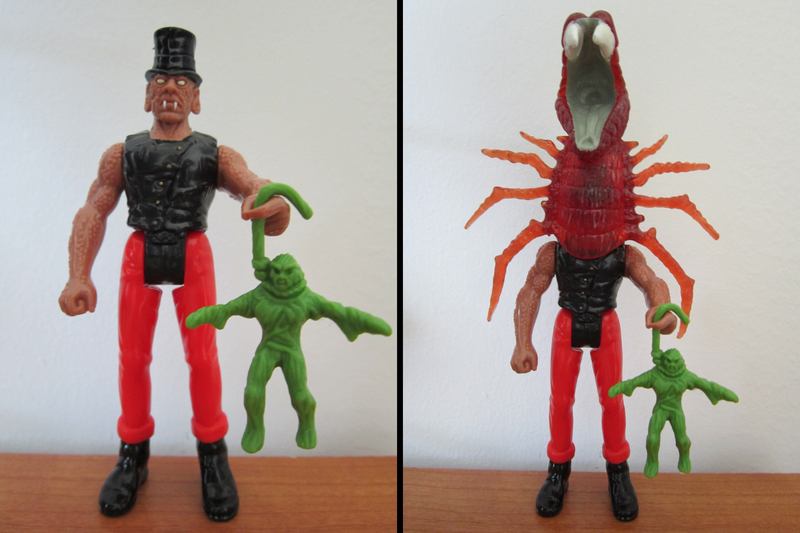 It’s like a time capsule of Holiday Wish Lists of the 80s. 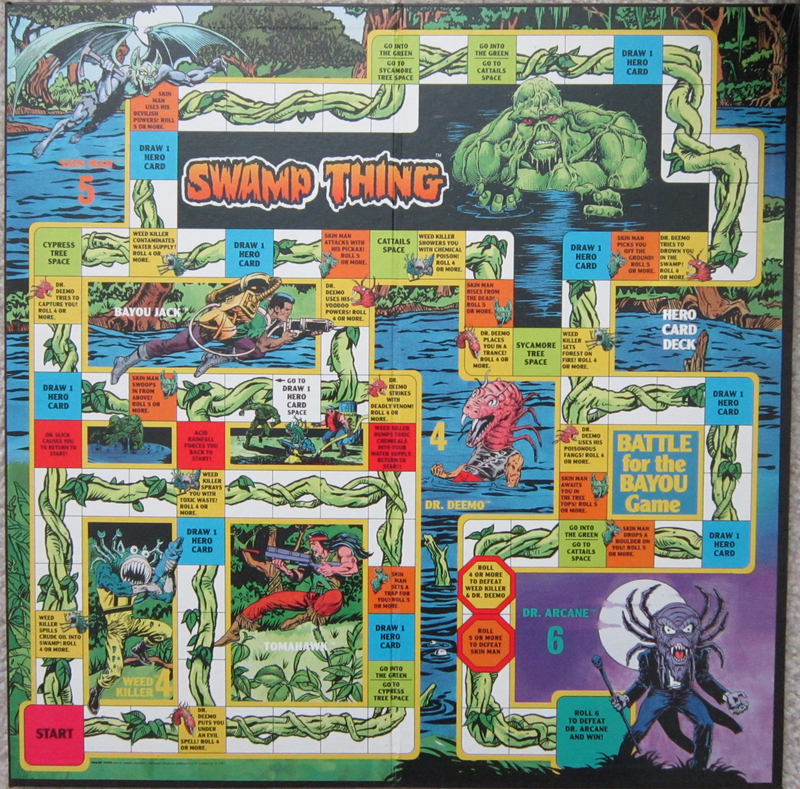 Jabba the Hutt, a Dewback, Krull the board game; all toys I would have had on my Christmas list when I was 5-years-old. The first Batman came out when I was 8-years-old. That movie combined with reruns of the Adam West Batman and the Super Powers cartoon ingrained Batman in my mind from a very young age. When “Batman Returns” was released in the summer of 1992, needless to say, I was very excited. Many wouldn’t think of this film when talking about Christmas movies, but I remember at 11-years-old thinking how odd it was that a movie set during the holidays was released in summer. So I’ve always thought of “Batman Returns” as a Christmas movie. 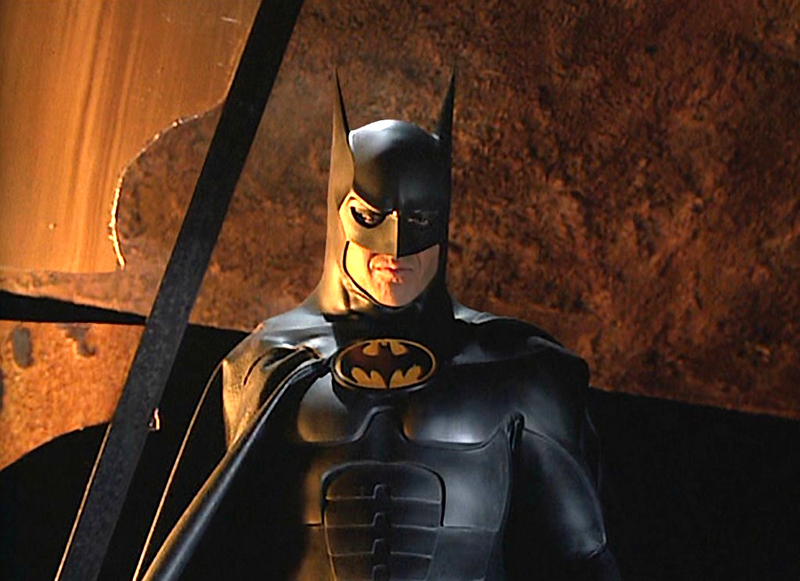 Many consider “Batman Returns” to be a lesser film. And I’ll admit there was a point in time when I agreed. But upon further viewings and analysis I’ve come to really love this movie. Throughout Batman’s 70+ year history in comic books there have been many different interpretations of the character. Exploring different artists’ and writers’ take on Batman is one of the things I enjoy the most about comic books. Film is another medium that gives us the opportunity to explore different interpretations of characters and stories. 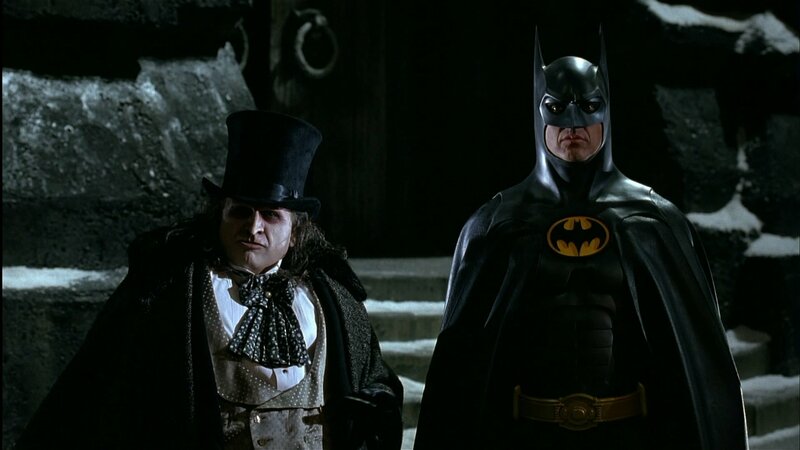 “Batman Returns” is very much Gotham City through Tim Burton’s eyes. It’s as if Warner Bros. said to Burton “do whatever you want,” and he did. 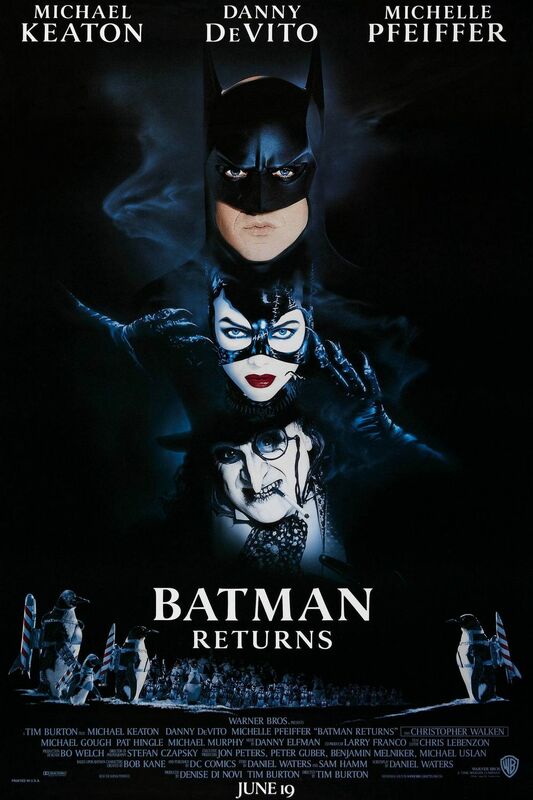 I’ve come to appreciate and love “Batman Returns” not really as a Batman movie, but more as a Tim Burton movie. 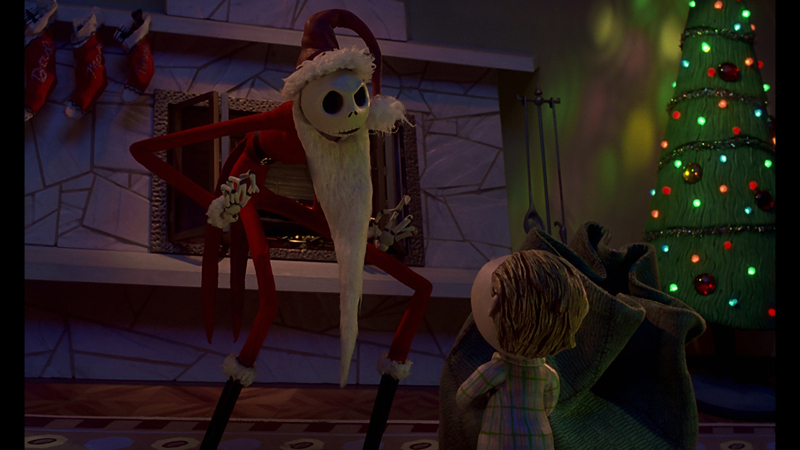 Combined with Danny Elfman’s signature music this film screams Tim Burton. It’s filled with so much dark, black & white, spirally Tim Burton-ness. For me “Batman Returns” was also a movie full of introductions. It was in this movie that I was introduced to and became aware of Christopher Walken. His performance as Max Shreck is one of my favorites of the whole movie. As usual, his line delivery is both extremely entertaining and quotable. And of course, I was introduced to Michelle Pfeiffer. Her Catwoman is one of those characters that had a big impact and has stayed with me since childhood; you show this image to any 11-year-old boy and he won’t think girls are icky anymore. This film really needs no explanation. Beloved by children and goths alike. Not only is this one of those movies that I’ve loved since childhood, but it’s one of the greatest Christmas classics in Film/Television history. Can I be in-de-pen-dant too? 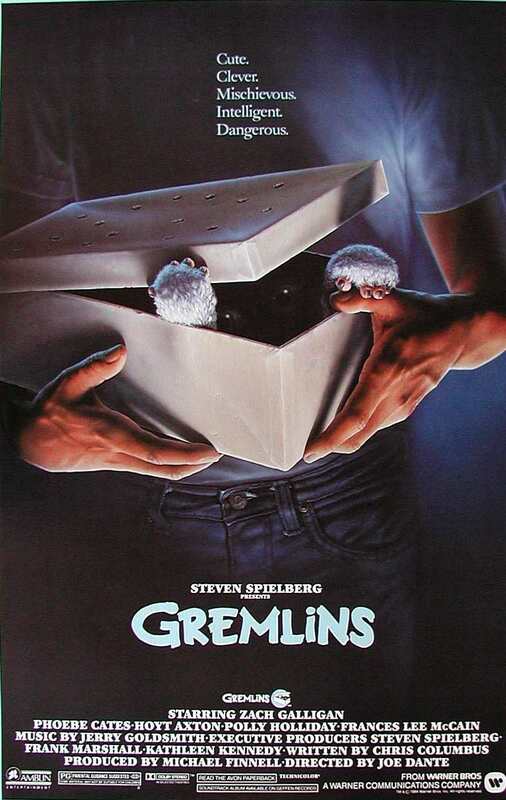 “Gremlins” is one of those movies that feels like a warm cozy blanket on a cold winter night. Like so many other all-time favorites, this movie not only entertains but brings back great childhood memories. My brothers and I watched it over and over again. 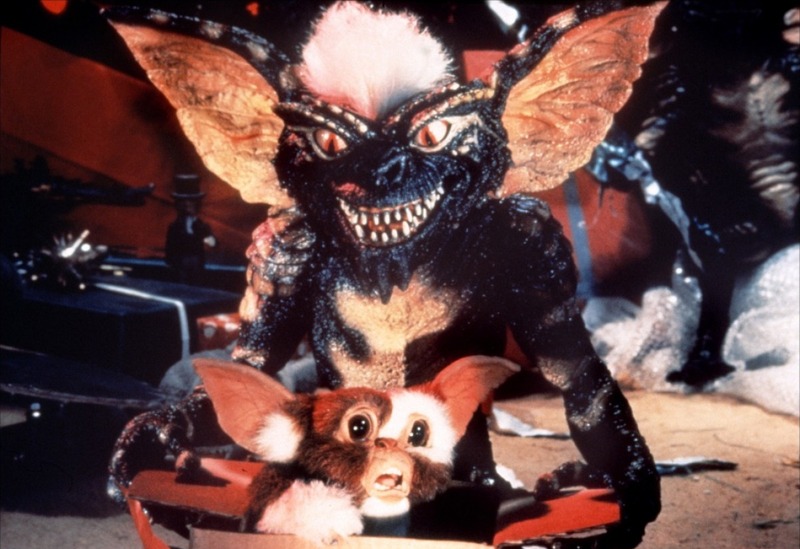 I remember my brother having a bendable Stripe action figure, and a jigsaw puzzle of Gizmo riding the pink Barbie Corvette through the department store. 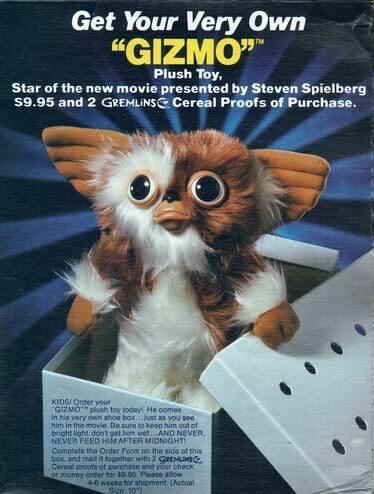 Gremlins cereal was consumed in large quantities in our house, and I still have my Gizmo doll. I was always a sucker for cereal box toys and mail-away offers. Unlike most Christmas movies, that are all warm and fuzzy, this one has monsters! 80s staples Corey Feldman and Phoebe Cates. A more conservative role compared to her performance in Fast Times at Ridgemont High. Schwarzenegger, Sinbad, Phil Hartman? How can you go wrong? Admittedly I’m a big Arnold fan. I’ll watch anything with him in it, so my endorsement of this movie might be a little biased. 2 out of 3 of Arnie’s previous comedic outings were successful, Twins & Kindergarten Cop. 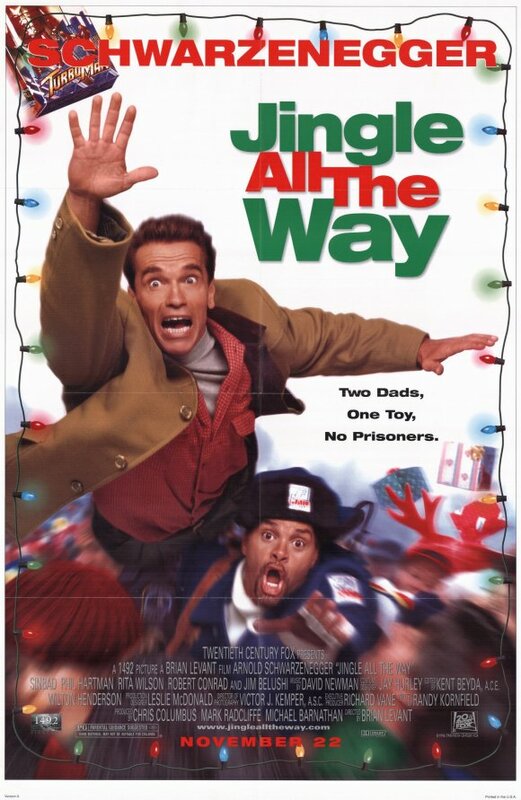 I’d be so bold as to say “Jingle All the Way” is too. 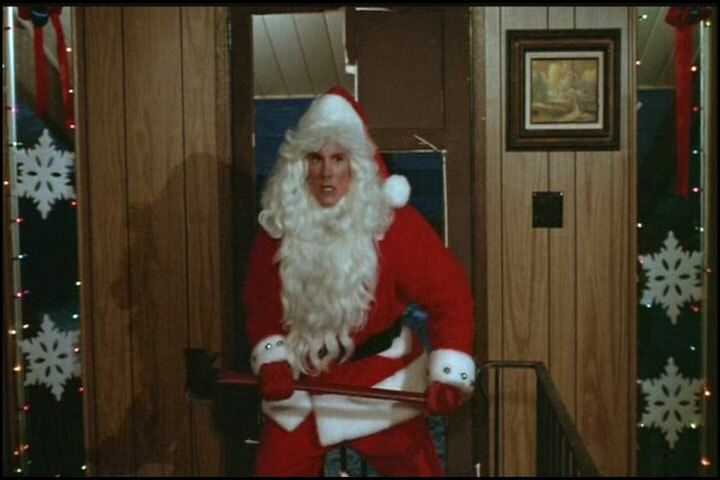 Any time you can watch Arnold Schwarzenegger in ridiculous, holiday hijinks, that’s a thumbs up! Add to that the performances of Sinbad, Jim Belushi and the late, great Phil Hartman, and you’ve got one hell of a comedic holiday thrill ride. “Jingle All the Way” also marks the first and best performance of Jake Lloyd’s career. A few years after this film Jake would go on to portray young Anakin Skywalker in “The Phantom Menace.” And we all know how that turned out. 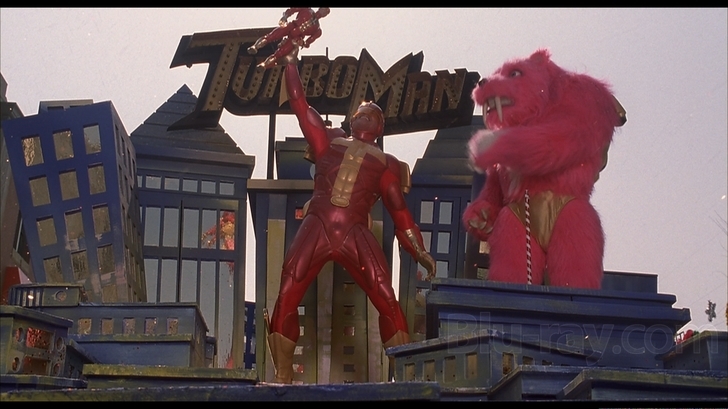 As a lifelong toy collector I too understand the frustrations of the hunt and the thrill of victory. Fortunately I’ve never had an opponent as crafty and cunning as Sinbad in my never ending search for Batman action figures. “The Exorcist” for Christmas? Hell Yes! 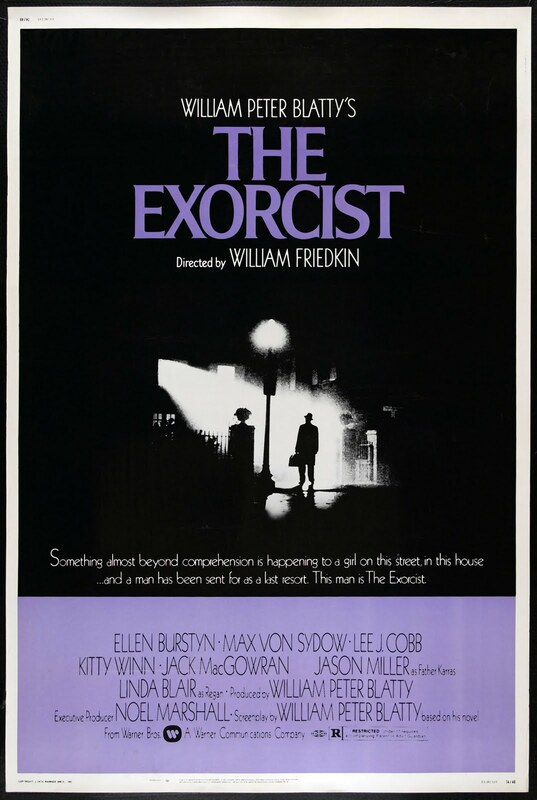 “The Exorcist” is the one film that has the honor of being on 2 of my favorites lists. 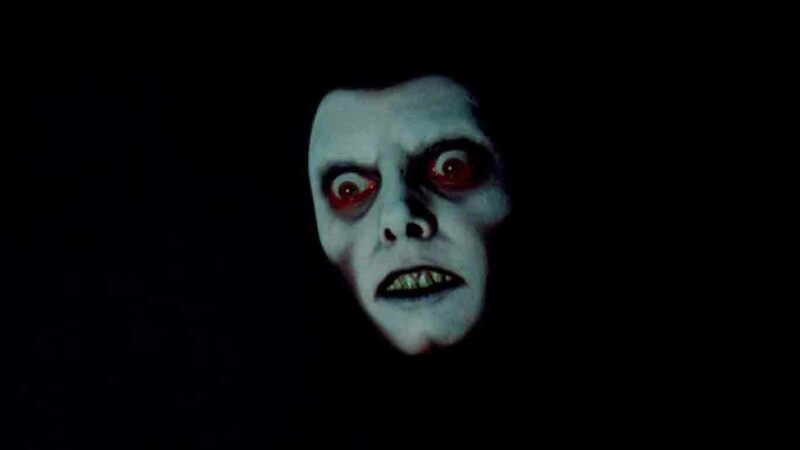 It’s also on my Halloween movie list, so I watch “The Exorcist” at least twice a year. Those family Christmas gatherings were lots of fun when we were younger. I always get a feeling of nostalgia when I think about them. I think that’s why I’ve come to associate “The Exorcist” with Christmas. 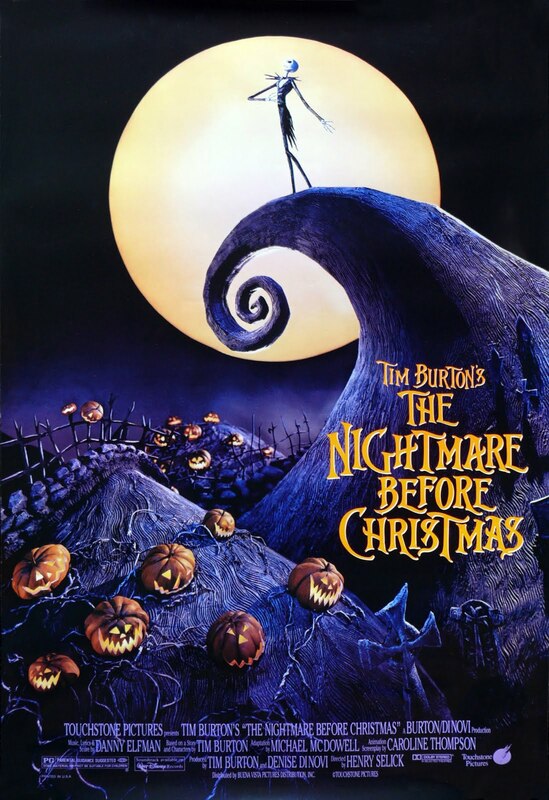 The movie not only completely terrifies me but it’s also a reminder of happy childhood and family memories. And if I remember correctly, Regan does mention Jesus a few times in the movie, and Jesus was born on Christmas, ergo “The Exorcist” is a very fitting Christmas movie. Last and definitely not least; I don’t know anyone who doesn’t love this movie. 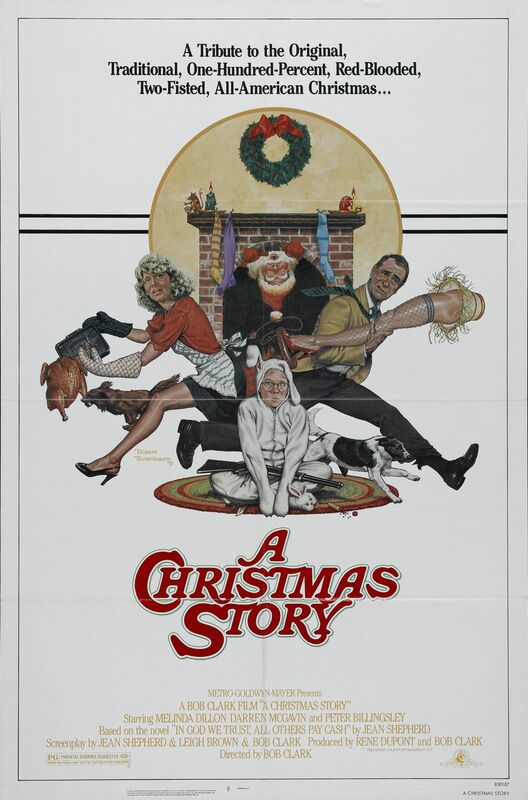 “A Christmas Story” is as much a tradition as Christmas itself. It’s full of so many great moments, too numerous to list. This movie is the cinematic equivalent of comfort food. Like a Rockwell painting come to life, giving us a humorous look at the traditional All-American Christmas. 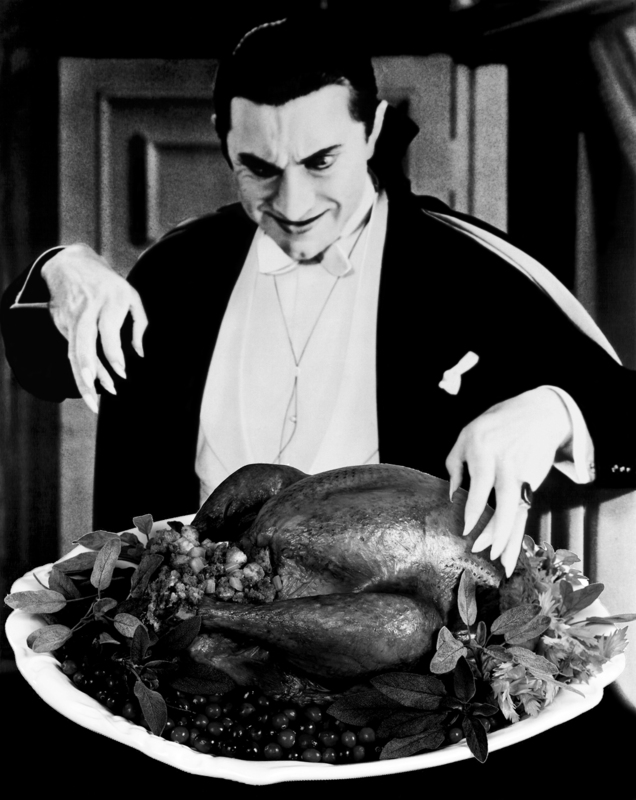 Have a spooktacular Thanksgiving full of food, fun, football, friends & family; and don’t forget the Muppets! "I never drink wine...but I LOVE turkey! Blah! Blah!" Jumped the Shark? I think not. After a re-examination of Happy Days, I’ve found that the phrase “jumped the shark” is a misnomer in pointing out when good shows go bad. 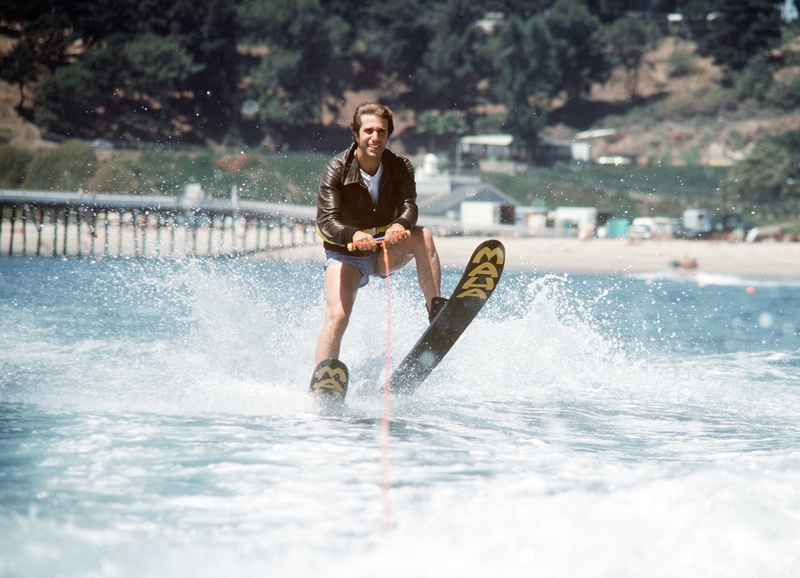 If you go back and watch the show, the infamous “jump the shark” episode is really quite good and extremely entertaining. 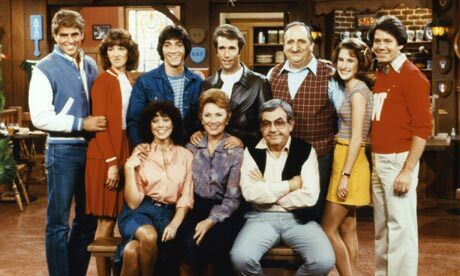 Happy Days didn’t really take a dip in quality until Ron Howard left the show. His character, Richie Cunningham, left home to join the military. This is when things got bad, and we got such lackluster story lines as “Fonzie and Al re-opening Arnold’s” or “Fonzie the teacher.” Joanie & Chachi became the center of attention and Potsie’s antics just weren’t as charming coming from a grown man. 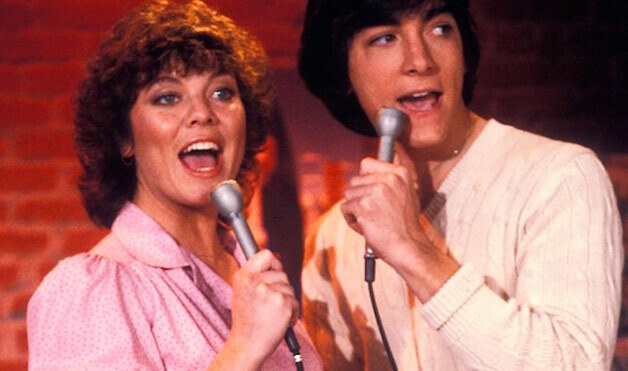 Good thing Joanie Loves Chachi because no one else does. One highlight of the mediocre, post Ron Howard years was when he returned for a guest appearance in the last season, sporting the finest mustache this side of the adult film industry. I’ve been loving DC Comics’ New 52 since they started in September. 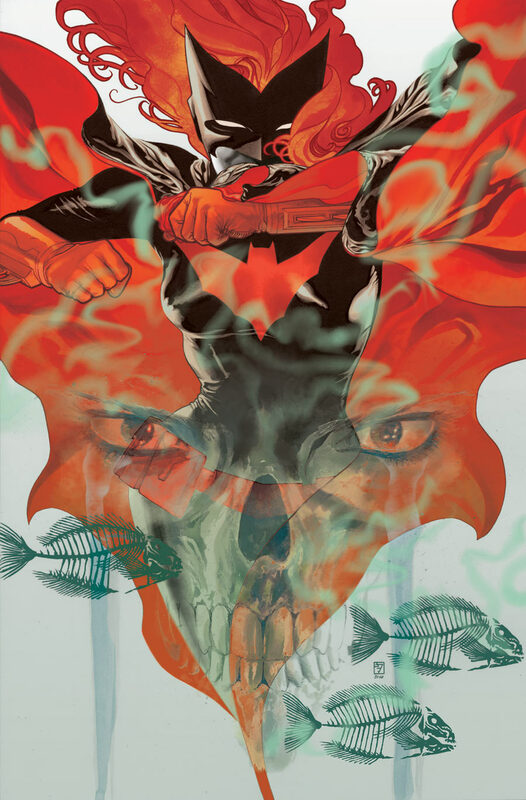 By starting over with all their books DC Comics have made them really exciting to read with new surprises every month. Whether they really are accessible to new readers or not can be debated, but it’s a refreshing change. The creative teams behind these books are delivering top notch work across almost the whole line. The writing is strong and many of the artists are producing the best work of their careers. The following are just a few of my favorite covers from books in the Bat-family. 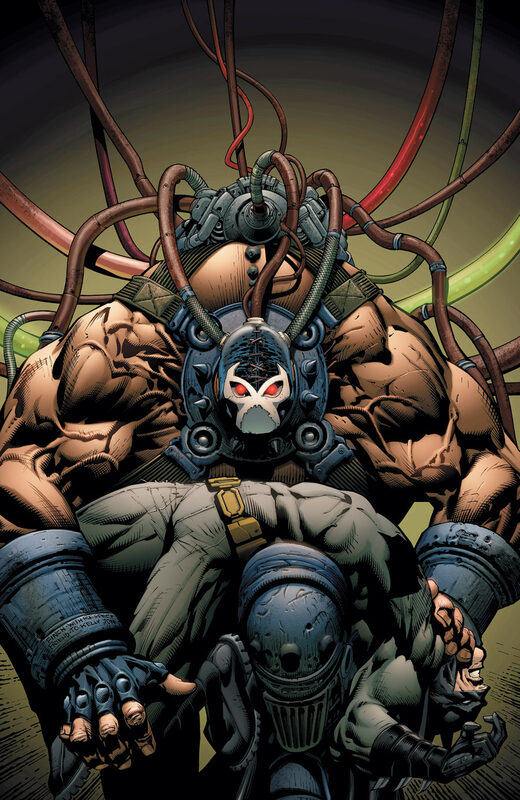 With Bane being the featured villain in the upcoming The Dark Knight Rises, it only makes sense that DC Comics would put the spotlight on him in the comics. 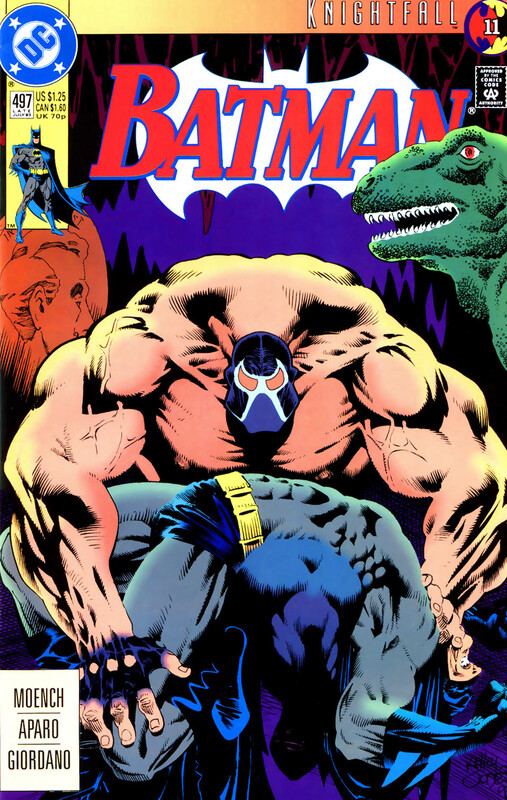 This cover by David Finch is a great homage to Kelley Jones’ cover from the classic Knightfall epic. 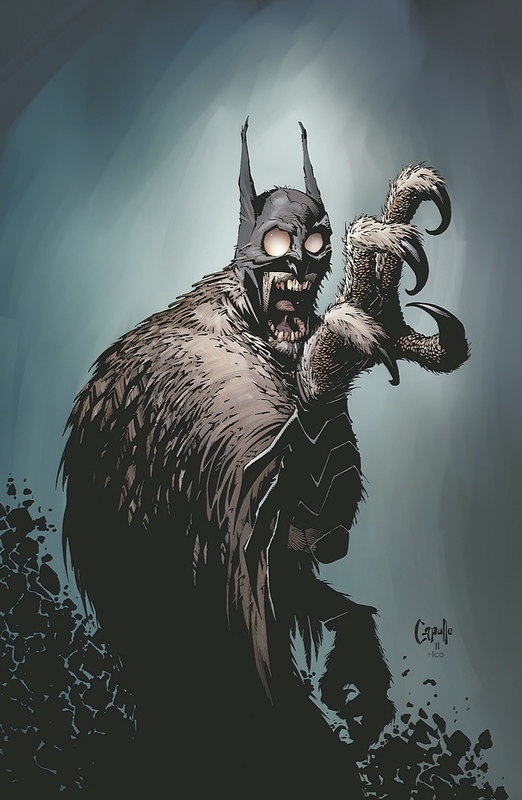 When I heard that former Spawn artist, Greg Capullo, was the new artist on Batman I didn’t know what to expect. I hadn’t picked up a Spawn comic since the 90s and wasn’t really familiar with Capullo’s work. But he brings a great sense of movement and energy to Batman. 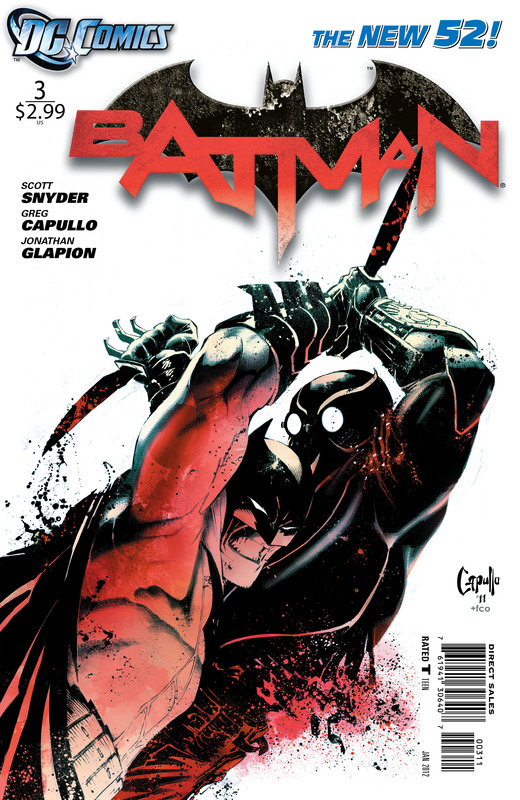 Paired with Scott Snyder, one of the best writers in the business, Batman is arguably the best book of the New 52. Hands down one of the best illustrators working in comics today, J.H. Williams III never disappoints. 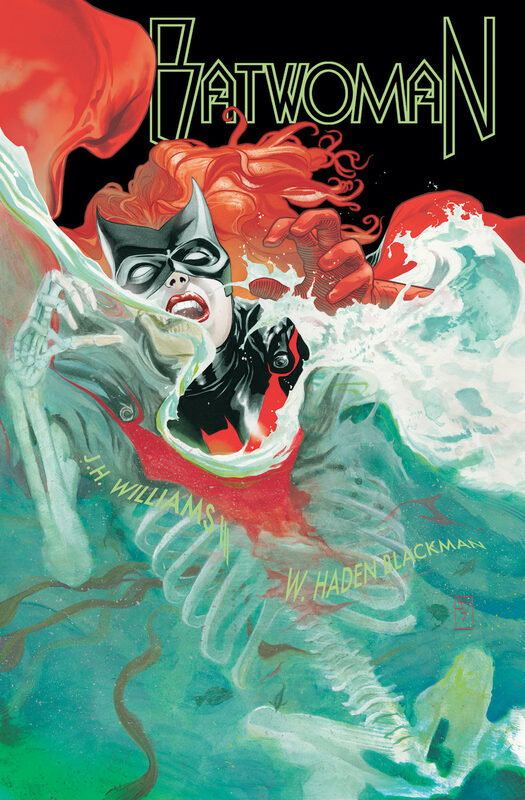 His work on Batwoman is definitely a highlight of DC Comics’ entire line. With varying styles and a uniquely strong sense of design, Williams creates works of fine art that you could spend hours staring at.